I´m a big fan of anything which gets people interested in classical music who might not be familiar with it. This weekend was about inspiring new audiences but also offering new ideas for the classical music fans. There was so much going on in this huge arts centre, the Barbican was the place to be! I enjoyed everything I experienced this weekend but there were two special highlights: the first was hearing the London Symphony Orchestra play John Williams’s film music. The LSO is such a fantastic orchestra, they know these pieces so well (they recorded the soundtracks to most of the films) and hearing the film music without the movie distracting me made me realise just what a genius John Williams is. Loved it and wished we could have shown you more of it. 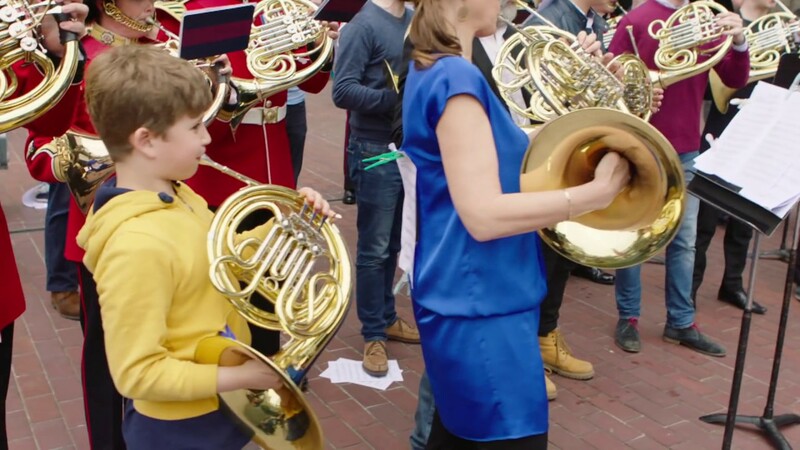 Second highlight was, of course, the London Horn Flashmob! I had had no idea if anyone would show up – I just put out the word that everyone was welcome and look at the crowd we had! I was especially touched at the mixture – from a 7 year old to seasoned pros to enthusiastic amateurs to talented students. And, the icing on the cake, my friends from the Coldstream, Grenadier, Scots and Irish Army Bands came to surprise me – in full uniform! It was so fabulous to see them again. A great day was had by all – hope you enjoy the Barbican too! Then Brian sings Don Jose in the Silent Opera! 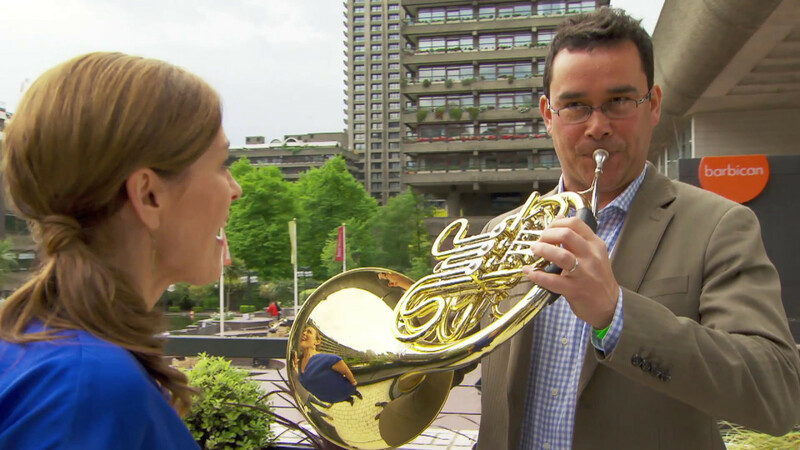 The London Horn Flashmob at the Barbican!